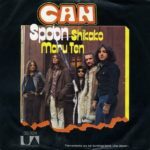 This is a guide to the music of CAN. Releases are divided into full albums, miscellany (mostly archival, soundtrack, and outtake collections), and non-album singles, with each section arranged chronologically by recording date. Other resources — books, films, a soundtrack filmography, and web sites — are listed at the end. This is not quite complete yet. 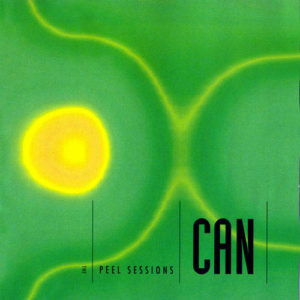 CAN was formed in the late 1960s in Köln (Cologne), in what was then West Germany. The band approached rock and pop music with sort of an outsider’s perspective, very much the way pianist/composer Cecil Taylor approached jazz in a unique way from the standpoint of formal training in modern classical music. There was a tacit affinity in their worldview to the so-called “New Left” movement of the late 1960s. The band is also cited as a pillar of the “krautrock” movement that sought to reconstruct a new German cultural identity following the defeat of the Nazis by the Soviet Union and allied powers — most of the band members grew up knowing former Nazis. They did not want to sound like other pop music. The band’s music draws influence and comparisons to electronic “new music” composers like Karlheinz Stockhausen and the chance music of John Cage, rock bands like The Velvet Underground, Captain Beefheart & His Magic Band, The Jimi Hendrix Experience and Sly & The Family Stone, the vamping funk rock of James Brown, and dub reggae from the likes of producer Lee “Scratch” Perry. While band members had great familiarity with jazz, they either couldn’t or didn’t want to play jazz. They did not work with outside producers or even record in commercial recording studios, instead forging their own path in a do-it-yourself way in which they maintained control over all aspects of their recordings. Always something of a cult phenomenon, CAN remained critical darlings. Curiously, or maybe not so much, the band’s audience has primarily been male. Anyway, even nearly a half-century later the band’s music sounds stunningly fresh and impressive. Original members Irmin Schmidt, Czukay and David Johnson came from backgrounds in modern classical music, each having studied at Darmstadt with Karlheinz Stockhausen. Drummer Jaki Liebezeit came from a background in jazz, departing a position in Manfred Schoof‘s band after deciding that the scrupulous avoidance of a rhythmic pulse in free jazz was too constraining. Guitarist Michael Karoli was a former student of Czukay’s who gave up studying law to be a musician instead. Schmidt was a working conductor and composer who visited New York City where he was introduced to underground rock and the pop art scene. He returned to West Germany inspired, and with Czukay committed to starting a rock band. Johnson soon departed as the band pursued more of a focus on rock than pure avant-garde electronics. Malcolm Mooney was an American traveling the world under the alias Desse Barama to try to avoid being drafted into the military during the Vietnam War, and ended up connecting with CAN partly out of confusion — he wanted to find a visual artist’s studio but ended up in a musical studio. Although not intending to be a singer when he arrived in Germany, and having no real experience as such, Mooney helped the band coalesce its unique syncretic approach to music with a strong sense of rhythm. Anxiety about returning to America and being drafted eventually necessitated Mooney’s departure. He was soon after replaced by “Damo” Suzuki. An anarchist by disposition, Damo had left home dissatisfied with Japanese culture through a connection with a pen pal in Sweden. He had made his way to Germany where he frequently busked on the streets of Cologne and also was involved in a theater orchestra/band. Holger Czukay encountered him on the street and invited him to sign at a concert that evening, with no rehearsal. Most band members came from a middle-class backgrounds (in one case more upper class). This gave them access to unique opportunities and allowed them to overcome obstacles that would have caused the demise of other bands. For instance, Damo was very nearly deported before Irmin’s connections to West German state radio lead to a high-level government intervention that allowed Damo to remain. Another sometimes overlooked aspect of the band’s history is that they formed in the wake of the so-called West German “Economic Miracle,” which partly stemmed from the Marshall Plan but was primarily a function of the USA forgiving WWII debts and using West Germany (and Japan, and later South Korea) as special economic development zones — something explicitly and purposefully denied to the UK and France. In that climate of economic abundance there were funds and materials floating around for artistic projects. The band maintained a very collective approach to music-making. Everyone’s contributions were considered at an equal level. There was no band hierarchy or designated leader. Compositions, production and similar efforts were credited to the entire band regardless of specific individual contributions. They also exactly equally shared band income, at least once Hildegard Schmidt became manager. Achieving modest popularity in West Germany and the United Kingdom, they had some minor commercial success with recordings but had only one regional “hit” song with “I Want More.” As the 70s rolled on, new members Rosko Gee and Reebop Kwaku Baah (both formerly of Traffic) joined in. Czukay left the band by the end of 1977. The band formally split up in 1979. Irmin Schmidt then founded Spoon Records, and, via a distribution arrangement with Mute Records, CAN recordings are now more available than ever. A few archival releases dribbled out in the early 80s, as well as some compilations. A reunion instigated by originally vocalist Malcolm Mooney happened in the late 80s that lead to a new album. A few additional reunion recordings of individual songs and sporadic reunion concerts took place too. The former band members mostly pursued solo and other new musicals projects, and often collaborated. Hildegard Schmidt, Irmin Schmidt’s wife, served as the band’s manager for many years. She deserves mention even if she only marginally appeared on the band’s recordings (some backing vocals on Rite Time). CAN initially secured space in a castle — Schloss Nörvenich — outside Cologne that had been re-purposed as a kind of artist commune (where sculptor Ulrich Rückriem worked). Original member David Johnson quickly departed. Malcolm Mooney became the group’s first vocalist. During this early period the band was feeling their way into rock music. They eventually began to perfect their own unique sense of rhythm and recording techniques that made do with relatively primitive equipment. The band supported itself in the early days in large part through soundtrack work — many of these films were not particularly reputable. Review: Still calling themselves “Inner Space,” the band’s first ever concert was given at Schloss Nörvenich in conjunction with some sort of art exhibition. At this point, influences from avant-garde electronic composition perhaps predominates over rock forms. Early live performances like this had some of the aura of Fluxus happenings. Prehistoric Future is an interesting document, but most listeners will want to skip ahead to the recordings on which the band found its own unique sound and only come back to this to hear how much their sound changed. This is the only recording to feature much input from original member David Johnson, who left as the band opted to develop its rock chops rather than his preferred electronic experimentation. Review: Vaguely identifiable as the same band that recorded the tracks that came out on Delay 1968. 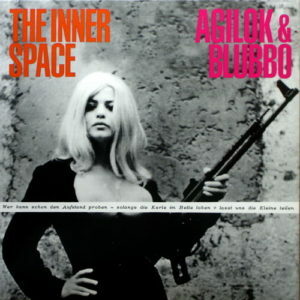 This “Inner Space” soundtrack (the album was only released many decades after the film debuted) has more of the feel of generic 1960s garage rock/pop with a hint of psychedelia — compare contemporaneous stuff by The Byrds, The Velvet Underground, and even some of the rock cuts on The Holy Mountain Soundtrack. Hardly anything essential or particularly unique, this is still surprisingly listenable as background music. 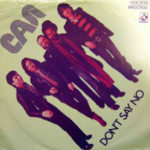 Review: Malcolm Mooney may not have had any explicit experience in a band before joining Inner Space — the band renamed itself The Can on Mooney’s suggestion — but his forceful presence on vocals helped the rest of the group get comfortable with rock rhythms. Yet on these recordings the band had yet to establish its signature monotonous rhythms and long-form song structure. These early recordings were intended for a debut album, but due to a lack of interest by a record label the band shelved the tapes and moved on to other efforts. There is a definite garage rock vibe here. Influences from the likes of The Velvet Underground and The Jimi Hendrix Experience are apparent. This is music with a definite affinity for the counterculture, which was at something of a peak at the time. While the band improved with their coming efforts, this is still pretty good. Review: When Malcolm Mooney was first introduced to the band, he auditioned by extemporizing vocals that were overdubbed on an instrumental track — the result being “Father Cannot Yell,” included here. 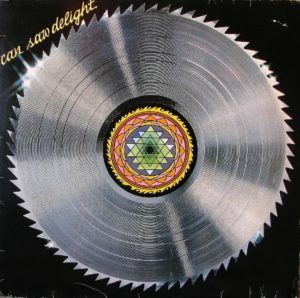 The album’s biggest highlight is “Yoo Doo Right,” an epic 20-minute piece culled from a mammoth session that only ended when a pre-amp started smoking. The song represents a number of key working tactics that the band was starting to perfect. For one, they used a relatively primitive two-track recorder that allowed/forced them to play collectively and overdub once. Any mistake meant scrapping the recorded take and starting over. Holger Czukay would also edit the tapes, pulling out the best bits from long jam sessions and splicing them together to create album tracks. “Yoo Doo Right” was also significant for Jaki Liebezeit implementing his own unique way of drumming. He later said that at a show some stoned or drunk concertgoer asked him to play “monotonously” then sauntered away. Jaki found this statement profound. Drawing from his studies of flamenco, etc., he started to break away from the blues-based rhythms of most rock music. The result of that rhythmic shift moved CAN’s music toward a repetitive, slowly morphing style that resembled aspects of James Brown‘s late 60s and early 70s funk. This debut album has held up very well. It is one of their best. 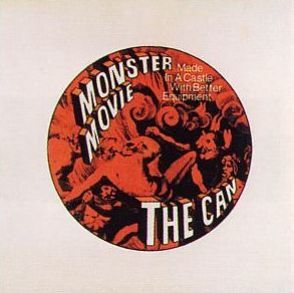 Originally released in a limited pressing the band connected with United Artists, which re-released the album with a new cover featuring a Galactus-like robot/monster. New singer “Damo” Suzuki came on board, and many of CAN’s most acclaimed recordings appeared during his tenure. Damo eventually left, and the band never found a permanent replacement, despite auditioning a number of singers. In late 1971, CAN also relocated from Schloss Nörvenich to an unused cinema in a small town outside Cologne that they converted to a studio they named “Inner Space”. For many fans, these are the band’s classic years, finding them at the height of their powers. A protracted legal dispute with their first manager Abi Ofarim took place during this period, and Hildegard Schmidt took over as the band’s manager. 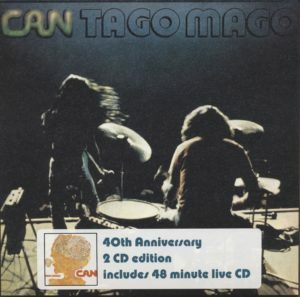 Release Notes: Available on CD, vinyl and digitally, including a 2011 remastered version; the Tago Mago: 40th Anniversary 2 CD Edition contains a bonus disc with live radio recordings from 1972 (see below); “Halleluwah” was released in edited form as the B-side of the “Turtles Have Short Legs” single and “Mushroom” was released as a single B-side too. 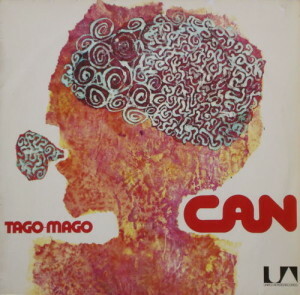 Review: Tago Mago — named after the island Tagomago near Ibiza — is widely considered CAN’s crowning achievement. Originally released as a double LP, with the first disc focused on ominously hypnotic rock and the second disc focused on avant-garde electronic soundcapes. This is usually the album that gets new listeners hooked on the band. Jaki’s rhythms, which feature overdubbed layers of percussion, have reached their fullest development. The influence of music like flamenco is now pronounced — compare, for instance, the drum kit rhythms of the section that begins about two minutes into “Paperhouse” with the hand-clapped rhythms of “Como castillo de arena” by Camarón de la Isla. Damo is a real force, though his vocals are set back, intermingled with the other instruments and rather indistinct. Irmin by this time had acquired his custom “Alpha 77” effects processor, which was a portable amalgam of devices that could treat his Farfisa organ and electric piano with a ring modulator, tape delay, reverb, chorus, pitch‑shifter and filters. Holger’s tape editing skills are at their best here, with the songs representing a kind of collage or montage of individual bits reminiscent of contemporaneous recordings by Miles Davis and Teo Macero. The electronic songs like “Aumgn” won’t be to everyone’s taste, but their juxtaposition with more rock-inflected tracks was unique (going well beyond the scope of “The Return of the Son of Monster Magnet”). 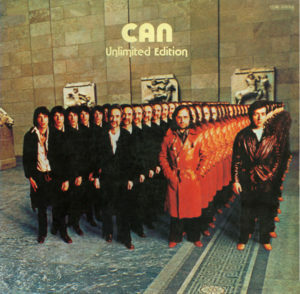 This album does speak for itself, and is unquestionably the most essential CAN album. This is a mind-melter. 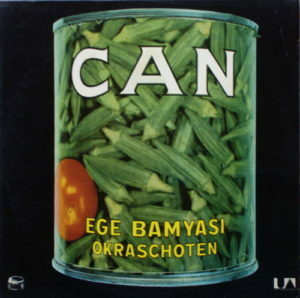 Release Notes: Available on CD, vinyl and digitally, including a 2004 remaster; “Spoon” and “Vitamin C” / “I’m So Green” released as singles; also, a version of “I’m So Green” with an alternate intro was released on a single; the album cover is a photograph of a Turkish brand’s canned okra — the company threatened to sue over use of the photo but never did. Review: CAN moved out of Schloss Nörvenich and into an old cinema that they converted into a studio in the sleepy village of Weilerswist. They named their new studio “Inner Space”. The first album recorded in the new environs was Ege Bamyasi. 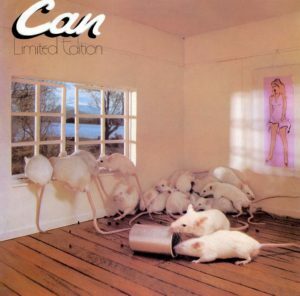 In many respects this has remained the most popular CAN album. It evidenced a definite shift toward more compact and well-defined “songs”, while still retaining longer improvised pieces to fill out the album. “Spoon” is one of the most widely-known CAN songs. 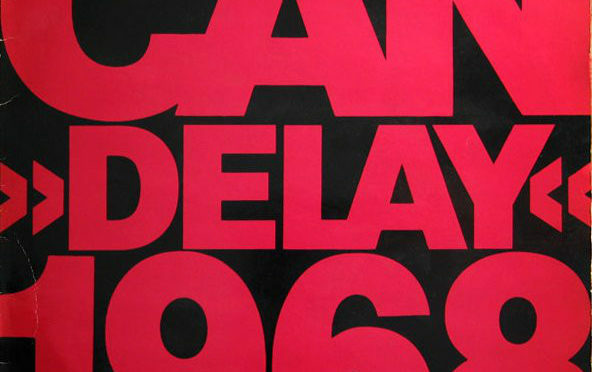 This album, however, might be the most over-rated in the band’s discography, though it certainly remains a highlight. Release Notes: Available on CD, vinyl and digitally; “Moonshake” / “Future Days” released as a single, with “Future Days” appearing in edited form. 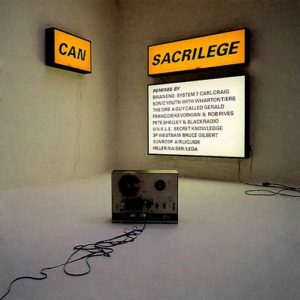 Review: The ominous qualities of some of CAN’s previous work gently drifted away and in its place was something gentler and quirkier. Future Days is mostly pretty relaxed, with the title track opening the album with a slowly unfolding cosmic pastoralism. The song builds from the reverb-processed noise of Damo moving around on a bean bag chair, with snippets of radio broadcasts and such overdubbed, before vocals and conventional instrumental performances begin. It is fair to rank “Future Days” as one of the band’s greatest achievements. “Moonshake” is one of the band’s most effective dance-able pop songs. The entire second side of the album is taken up by “Bel Air,” a weird collage of disparate things that is a bit difficult to digest. Release Notes: Available on CD; “Dizzy Dizzy” / “Splash” released as a single. 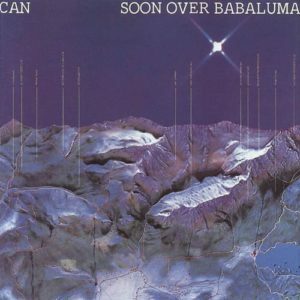 Review: If there is a CAN album that most embodies the sort of space-age tech industrialism that always lurked behind the band’s music, Soon Over Babaluma has to be it. Damo Suzuki had gotten married and quit. This left the band without a dedicated vocalist. Despite some attempts (wouldn’t a female vocalist have been interesting? ), they never did find a permanent replacement. Irmin and Michael filled in a bit. “Dizzy Dizzy” is the catchiest thing here, with Michael unveiling his electric violin. “Chain Reaction” is proto-techno. The ambient yet nervous soundscape of “Quantum Physics” seems to anticipate digital music of the coming decades. Conventional wisdom is that this was the last of the really good albums — though that view might well be questioned. The band upgraded its recording equipment, which had the effect of lessening the need to record so many collective live takes and edit the results so heavily. Influences shifted some, with more reggae and highlife showing through in the music. The band’s biggest commercial success came in the later years, with their only regional “hit” single, “I Want More.” Two new members joined. Original member Holger Czukay left at the end of 1977. His departure was partly due to improved equipment lessening the need for his tape editing skills, complaints about his bass playing (leading to his complete replacement on that instrument by Gee), and, finally, a confrontation with Irmin over disclosure of an extra-marital affair. This last bit seems to have played a decisive role. Czukay informed Irmin’s wife Hildegard about his infidelities, which was quite understandable because she was CAN’s manager at the time and Irmin was in a way insisting that Czukay and the other band members conspire with him against their manager. John “Johnny Rotten” Lydon sought to join as a new singer, but the band was already in the process of breaking up. CAN split in 1979. They reunited for a comeback album in the late 1980s, and sporadically for a few one-off songs and concerts. Members embarked on other musical projects, with Irmin returning to soundtrack work, Holger launching a solo career, Michael building his own home studio Outer Space, and Jaki doing session work and creating his Phantom Band. Malcolm Mooney worked as an art teacher and visual artist in the United States, and was directly involved in reunion efforts. Damo eventually returned to music, launching a never-ending tour with pick-up bands around the world (he expressed little interest in looking back on his time with CAN). Release Notes: Available on CD, vinyl and digitally; “Hunters & Collectors” / “Vernal Equinox” released as a single. Review: Here’s a weird one. Some CAN aficionados deem it the last good album, while others see this as already evidencing decline. It mostly seems like a glossier version of the same music as before, following the same basic approach as Soon Over Babaluma, but with a more aseptic aesthetic. Holger identified the problem as the new 16-track recording technology installed at Inner Space Studio, which shattered the band’s collective ethos and introduced an element of individual competitive perfectionism to the recording process. 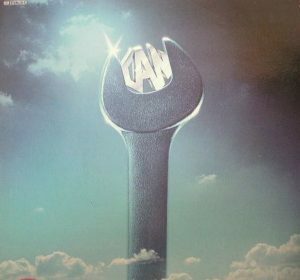 Plus there are bad mixes on the first few songs, like the clunky boogie rock patina given to the opener “Full Moon on the Highway.” Not a bad album, and one that has potential all over the place, but the end results are definitely underwhelming. Release Notes: Available on CD; “I Want More” / “…And More” released as a single. Review: As the 70s rolled on, the band members expanded their musical interests to include reggae. That is apparent on Flowmotion. The album also hints at disco. “I Want More” was released as a single and became the band’s biggest hit. Scratch that, their only hit. Much else here has a casual, fun vibe. Without sounding at all like a rehash, the lengthy guitar-driven “Flow Motion” is kind of the “Mother Sky” of the later years. “Smoke” is the odd duck here — something as ominous as anything on Tago Mago but out of place among the upbeat tunes around it here. 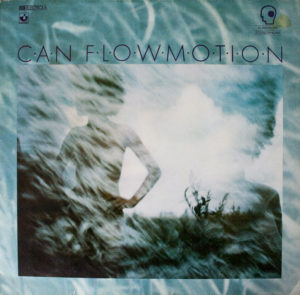 Flowmotion is probably the most overlooked album among fans, who — let’s face it — tend toward the snobby. But with an open mind this is just about as good as anything they did five or so years earlier. Review: This is the most appalling CAN release. Basically it is CAN’s version of Having Fun With Elvis on Stage. In this case, that means a collection of idle studio chatter, snippets of warm up riffs, and aimless studio noises. This collectors item has approximately zero listening value and was nothing more than a crass way to bilk a few die-hard fans. In hindsight, the only reason anyone would listen to this is as a kind of “reality check” to witness the band stooping to take advantage of fan interest. Review: New band members Rosko Gee and Reboop (both from Traffic) made their first appearances on a CAN record with Saw Delight. Michael Karoli displays an interest in African pop like Highlife and Holger Czukay takes up noisemaking through a radio and the insertion of non-musical field recordings. This album reflects a band somewhat exhausted of ideas, with the opener “Don’t Say No” basically a “Moonshake” redux and much of the rest of the album just a watered down approximation of their sound of a few years prior. 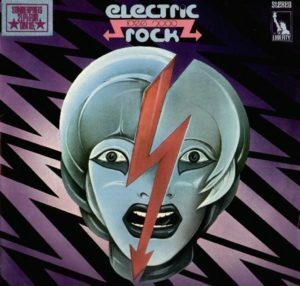 Listener opinions are divided on this one in terms of its rank among the albums of the later years, but most agree this pales compared to the band’s middle/classic period albums. 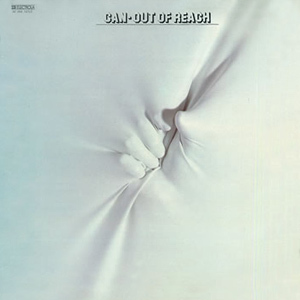 Review: The consensus is that Out of Reach is the very worst CAN album proper. Recognizing that, the band refused to allow it to be reissued for a long time. Holger Czukay had quit the band and this is the only album without his involvement. 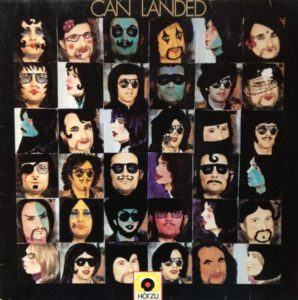 Recent members Rosko Gee and Reebop Kwaku Baah take on more prominent roles, and some of these songs sound much more like their former band Traffic than anything in CAN’s past catalog. Really, this thoroughly mediocre and forgettable album tends to accumulate most of the scorn heaped upon it simply because it does not resemble the “classic” CAN approach to music. For instance, Rosko Gee’s songs (“Pauper’s Daughter and I,” “Give Me No ‘Roses’”) are not bad, just extremely different from the sort of music fans seem to expect. Review: The group’s last album before their breakup is a bit of a return to form after a steep decline in the quality of their output in the late 70s. This is a more laid-back kind of music, with an ambiance that tacitly reflects the disco era, but it does tap some of the same creative energy as classic earlier albums. 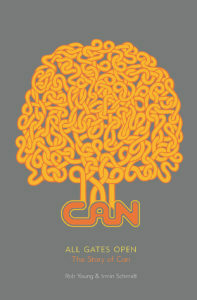 There is a dud track (“Sunday Jam”), but “All Gates Open” ranks with the most memorable CAN songs. While sometimes relegated to the dustbin of history with a blanket denunciation of the band’s later recordings, this one deserves more consideration and attention than that. Release Notes: Available on CD, vinyl and digitally; “Hoolah Hoolah” released as a single; “In the Distance Lies the Future” appeared on the original CD release but was omitted from the LP version. Review: Original vocalist Malcolm Mooney reached out to his former bandmates in the late 1980s, which prompted a brief reunion. Bankrolled by a wealthy European art patron, the band convened at Michael Karoli’s home studio Outer Space near Nice in France. The album has some stereotypical 80s production values, but there are some worthy songs here interspersed with goofy novelty tunes. The opener “On the Beautiful Side of a Romance” makes the most of this production style. 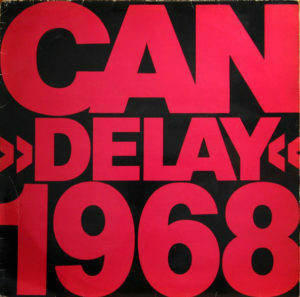 Two other songs in particular stand out: “In the Distance Lies the Future” (which sounds like the band of its prime years) and the quasi-ambient “Like a New Child.” The album’s profile was raised by the timing of its release, which was roughly when the Berlin wall was torn down and international attention on a reunified Germany swelled. As comeback albums go this is quite respectable, even if this lacks any sense of innovation. Release Notes: Available on CD, vinyl and digitally; “Soul Desert” / “She Brings the Rain” released as a single. Review: In its early days as a band, CAN leaned heavily on Irmin Schmidt’s connections to the film industry to record soundtrack material. 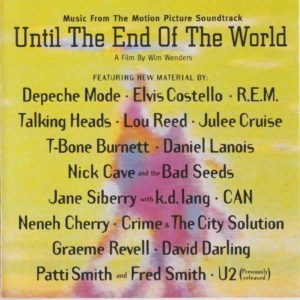 Some of those early efforts were collected and released as Soundtracks. The collection marks a turning point. Original vocalist Malcolm Mooney had to quit the band after anxiety over returning the United States and being drafted into the military (during the Vietnam War) caused something of a breakdown — he returned to the USA where he spent some time in a psychiatric facility but was not inducted into the military. The band then stumbled upon Kenji “Damo” Suzuki, who became Mooney’s replacement on vocal duties. Damo was a markedly different singer, and his contributions were more abstract and often pushed down in recorded mixes so that they had no foreground presence. Of the songs featured here, “Mother Sky” (featuring Damo) is one of the band’s all-time greats. “She Brings the Rain” (a rare ballad) and “Soul Desert” are also highlights (both featuring Mooney). A few tracks on the first side are a bit mediocre, but this remains an important album. Release Notes: Out of print; a different edit of “Thief” appears on Delay 1968.
Review: In between studio albums the band released Limited Edition, a single LP collection of outtakes and stray songs. The album was then reissued in an expanded two LP form as Unlimited Edition to capitalize on the band’s growing audience. There are a few good things here, even if most of this stuff could have safely stayed the vaults. The Malcolm Mooney track “The Empress and the Ukraine King” features some borrowed musical sculptures that could be played like steel drums and jazzy guitar riffing. It is the clear highlight. The Ethnological Forgery Series track No. 7 is short but one of the more engaging entries in that strain. In all, this is an unessential package with just a few highlights worth finding on their own or on a compilation. Review: CAN Studio was eventually dismantled and the contents sold to a museum. As part of the clearing out effort, some old CAN tapes were uncovered. Irmin’s son-in-law Jono Podmore (A/K/A Kumo) helped sift through them and assemble a selection as The Lost Tapes. While this looks like another Unlimited Edition curio, it actually ends up being a pretty solid batch of material that also fills in some gaps in the history of the band’s sonic evolution. Sure, this might have been trimmed back further to just two discs. But still, the overall quality remains remarkably high and Malcolm Mooney shines through on some of the many excellent early tracks. Oh, and there are a number of very solid Damo Suzuki cuts too and various excerpts from soundtrack work. March 23, 1977, Sound Circus, London, UK. 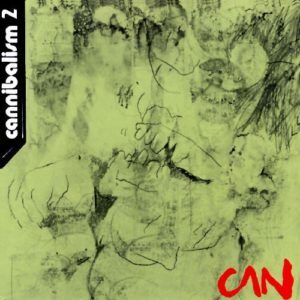 Review: CAN never released a live album during their original existence. They toured mostly in Germany, France and the UK. Despite a desire to tour the USA, their record labels refused to support such a tour. Actually, the band’s concerts were notoriously unpredictable affairs. Live shows were always spontaneous, unrehearsed and essentially unplanned, so they could come off spectacularly or disastrously. For what it’s worth, the band members had no strong sense of personal style, that is, they wore normal, ordinary clothes and lacked any sort of visual stage show to accompany their concerts (with a small exception for the low-rent circus sideshow acts that performed as part of the Free Concert). For the band’s 30-year anniversary box set, a collection of live tracks from the 1970s was assembled. 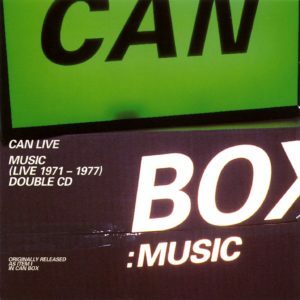 A stand-alone album of just the previously-unreleased live tracks was then issued as CAN Live: Music (Live 1971-1977). There is some really excellent stuff here, even if the sound is not as clear as on studio recordings. 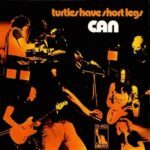 “Turtles Have Short Legs” is probably the best CAN non-album single track. Oh yes, in the late 1970s CAN even released an X-mas song as a single! After the band broke up, a few solo albums by former band members included material with former band members that were practically reunions. This is but a small sampling of post-breakup albums and related projects with two or more former CAN alumni or otherwise focused on the CAN legacy. 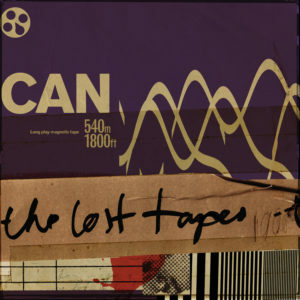 There are numerous audiovisual documents of CAN in live performance as well as documentaries about the band, its members, and the music scene they were a part of. But the band also recorded extensively for soundtracks, and only a relatively small amount of that work has ever been released in stand-alone audio format. Indeed some of the films the band contributed to have rarely if ever been re-screened and are unavailable in any format. 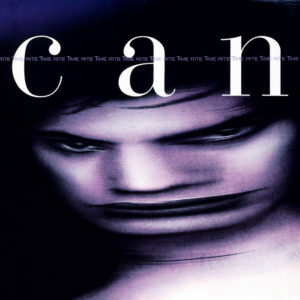 Can: The Documentary (1999) – A documentary created for inclusion in CAN Box. It features an extensive amount of archival live performance footage, some archival interviews, plus some latter day interviews created specifically for the documentary. As a whole, this documentary is not very illuminating in terms of explaining and contextualizing the band’s work in any focused manner. But it is a semi-useful collection archival materials. Committed fans deserve to see how the band in person leaned toward the pretentious during the “classic years”, how good they were live in the late 1970s, and the sheer goofiness behind the Rite Time reunion. Unessential; but probably of more interest after seeing the BBC Four Krautrock documentary. 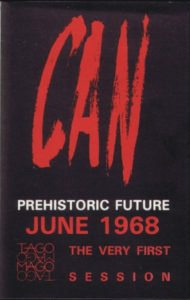 CAN DVD (2005) – Out of print collection of video materials. 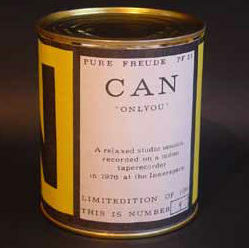 Includes CAN: The Documentary from the CAN Box, plus the Free Concert, and more. Krautrock: The Rebirth of Germany (2009) – This BBC Four documentary about the birth of “krautrock” in Germany is partly about CAN. 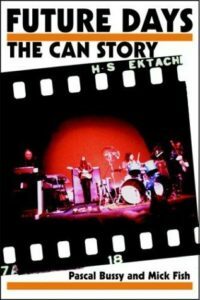 The CAN segment — which begins about a third into the program — provides some valuable insights and context for the band’s work, even if it is short and addresses only a small part of the band’s history. The entire program is worth watching to understand how CAN fit into a larger movement and the practicalities of how the band and their music came together (despite some slight favoritism shown to the most popular acts like Kraftwerk). 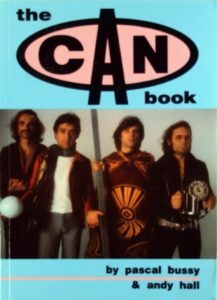 There are a number of books about CAN, in particular, and “krautrock”, in general. Many of these books have gone out of print, though it seems that as soon as one does fall out of print another one is published. With the advent of online resources, the discography cataloging and factoid aspects of many of the earliest of these books have become obsolete. But some more substantive writing has eventually emerged in both German and English. Rob Young & Irmin Schmidt, All Gates Open: The Story of CAN – Two books in one. This first is a conventional band bio by Young, while the second is a kind of oral history and dairy outtake collage put together by Schmidt. Young’s bio is adequate. It is the place to turn for historical information about the band, even if the chronology is occasionally hard to follow and the details not always surefooted. It skews a bit heavily in favor of Irmin Schmidt’s perspective and presents a kind blandly typical picture of the relative merits of the band’s work, often substituting romanticized journalism for fresh substantive analysis. The second part of the book is of negligible interest — mostly a crass ploy to pump up the price of the book with material few would care for in stand-alone form. Hildegard Schmidt & Wolf Kampmann (eds. 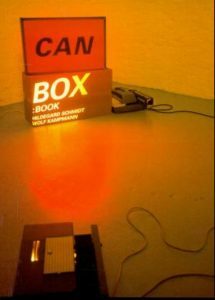 ), CAN Box: Book (1999) – Originally released as part of the CAN Box set, but later made available separately. Christoph Tannert, Halleluhwah! 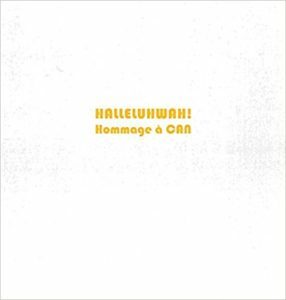 : hommage à CAN (2011) – Catalog book from an art museum exhibition tribute to CAN at ABTART gallery in Stuttgart, Germany in 2011. Essentially this is a collection of the visual art equivalent of “fan fiction”. 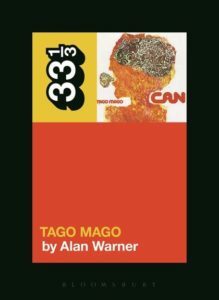 Alan Warner, Tago Mago (33 1/3) (2014) – A book focused on the author’s personal interest in CAN and the Tago Mago album, and the activities associated with being a fan and music collector (in the pre-Internet era), with relatively little information about the band or album as such. Julian Cope, Krautrocksampler: One Head’s Guide to the Great Kosmische Musik – 1968 Onwards (1995) – Out of print. 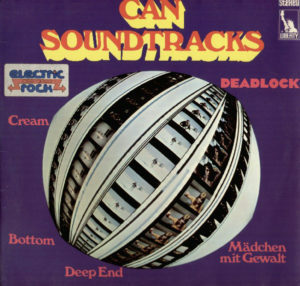 A highly subjective, enthusiastic summary of the “krautrock” scene in general. Considered to be a big factor in the revival of interest in the genre, even if not always strictly factual. 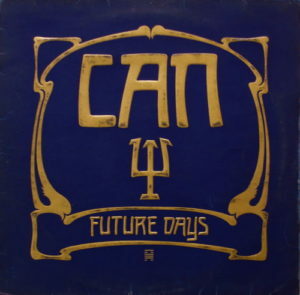 David Stubbs, Future Days: Krautrock and the Building of Modern Germany (2014) – Anyone looking for a fairly compact written introduction to CAN might well look to David Stubbs’ book Future Days. As a whole, the book is a bit meandering and full of “travelogue” type filler. But it does contain an entire chapter on CAN that readers can turn to without digesting the entire book. That chapter does a rather good job of describing much of the band’s essential aspects and their musical outlook. Not only are there basic historical details about the band and band members, and the historical context in which the band came together, but there are well-informed descriptions of the substantive musical techniques and musical content of the band’s recorded catalog. It also offers interesting perspectives on the significance of band’s changing lineup of vocalists. For better or worse, this book does, however, follow the “conventional” view that the band did little or nothing of interest from the mid-1970s onward, and, for instance, doesn’t even mention the band’s comeback album or sporadic reunion concerts. Ulrich Adelt, Krautrock: German Music in the Seventies (2016) – An academic book about the “krautrock” movement. Jennifer Iverson, Electronic Inspirations: Technologies of the Cold War Musical Avant-garde (2019) – Provides background on some roots and influences. 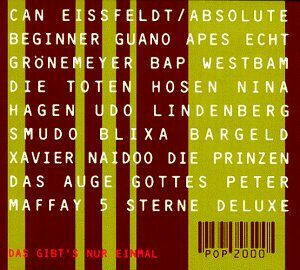 Henning Dedekind, Krautrock: Undergroud, LSD und kosmische Kuriere (2008) – In German. Alexander Simmeth, Krautrock Transnational: Die Neuerfindung Der Popmusik in der BRD, 1968-1978 (2016) – Dissertation, in German.